Keith asks: I recently moved to Las Vegas from N.Y. & have 3 years experience as a firefighter and 6 months as an ambulance driver. Two coworkers and myself want to dedicate two vehicles to become stringers. Please send us any information as far as getting the vehicles equipped, additional resources or any tips to make this successful. Thank you. Answer: Stringers must be as light and nimble as possible. From the car you drive, the equipment you use, how fit you are to get that equipment out of the car and into the action all must happen fast. Being there with the right tools to get those quality shots quickly ahead of everyone else is where the money is. A dedicated 4×4 SUV, Jeep or utility truck with the ability to go anywhere would be ideal. With the gas tank filled and your portable news gathering video equipment in the back, you’re able to jump out of the driver seat, pop the trunk or hatchback and head towards the rear of the vehicle to pull out the fully charged equipment fast. Log your mileage for taxes. According to the tax laws you can not claim gas and repairs on a vehicle that is dual use (personal and business) but you get to claim 34 cents a mile at the end of the year provided you logged it. As a stringer you’ll be doing a lot of hand held shooting, so choose a camera that can mount on your shoulder for stability and has the capability of shooting in low light. Shoulder mounted cameras are best, it seems to earn respect. It’s even possible to get by with a far less expensive camera – even your smartphone and a few apps. 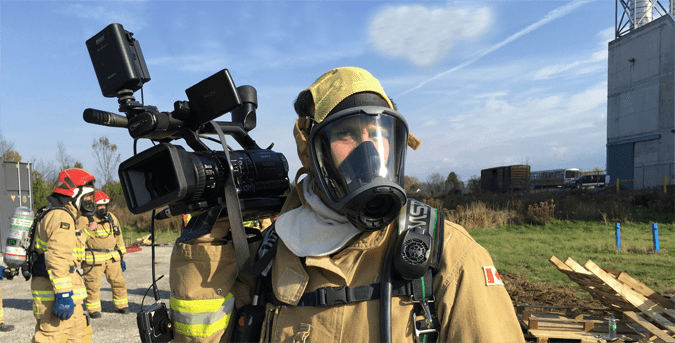 If you’re creative, you could even mount a temperature sensitive body camera or action cam on one of the emergency services personnel to add to your raw video footage. Action drones are even an option. Obviously, batteries discharge during use and you have to tank them up again. Some camcorders still charge batteries internally, but many models come with an external charger. An external charger will allow you to keep shooting with one camcorder battery while the other is charging. Ensure that you can charge camcorder batteries via 12-volt car cigarette plugs as well as 120-volt wall power. Drive time is an ideal time to charge camcorder batteries, especially if your system includes quick charge capability. You want a long lens or one with an extender so you can get good sized images if you’re not allowed to get close. Make sure that your camera can accept external microphone inputs. You’ll need a good quality microphone to conduct interviews. It’s absolutely necessary to use additional wind protection over the microphone. A GOOD tripod. A Gitzo or Manfrotto or Miller. Unless it’s fast moving and jaw dropping, tripod tripod tripod. Limit zooms and pans to 10 seconds. Stay on that action until it’s over. You don’t need one to light up a scene, but a good one will provide good face lighting for interviews. In order to get press passes you must be a business. Press passes are not what everyone thinks, you can’t just go anywhere, (ball games etc.) You should have a legit reason to shoot when you try to enter. Get yourself a shooting vest, have nice shirts made up with company name on them. Business cards, your footage may be used for legal purposes if law enforcement needs it, have business cards ready for law enforcement. Just offer the cards to FHP and they will graciously except them. But save the footage, sometimes attorneys will buy it. YES, Be ready to test your morals in this business. 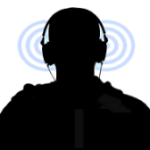 You will need to monitor the local law, fire and EMS trunked frequencies by finding the correct scanner for the job if you want to listen to what is going on. In some states, scanners are not allowed to be permanently mounted in a personal vehicle, that is, mounted to the dash or a permanent antenna. They can be permanent in a full time news vehicle. (business vehicle with press passes). If you have an amateur radio license, you may be exempt from the permanent mounting laws. Never give your footage away for free. NEVER. You will forever be labeled with that expectation. One of the rules you will have to make is who gets the footage. Some news agencies expect that if they notify you of a story and ask you shoot it, that story is only for them. The key to the news industry is having a story or a shot that the other don’t. This is a blood sport when it comes to exclusive stories. Prices for CNN and the morning talk shows start at about $150 and go up depending on importance. Be careful calling news agencies before you shoot footage. Calling them may sell a story and their crew might beat you to it. A short interview with an onlooker or police/fire chief etc., etc. all while the news anchor describes the story. The sequence varies from station to station so don’t kill yourself thinking you have to edit an entire movie – they are looking for RAW FOOTAGE and those are the basic shots which can be adapted to all. Shooting a suicide is just tasteless. Severe car accidents that cause major traffic jams sometimes get bought depending on how many newsworthy events are occurring. Stories of children, animals, fires with lots of flames, fires of businesses that are damaged badly. Death, shootings, etc. If news is slow they are looking for something interesting to fill time. Remember, be professional. Don’t let your friends tag along to see the action. Be meek and mild not cocky when interacting with officials. Always keep your footage. You never know when something is not the way it seems and tomorrow it turns out to be someone famous – you now have video the world wants to see. This job is deceiving. You may make $85 delivered but if it takes you 4 hours to drive to the story, shoot the story, drive back to studio and dub off – how much profit have you really made? Watch out for your own safety. The emergency crews may let you into their arena and they may no longer be paying attention to your safety when your inside their “zone”. Along the same lines, don’t get in their way and watch where you step. You sometimes have to be aggressive, you sometimes have to be reserved. It wouldn’t hurt to put a good reel together. nothing over ten minutes just to show that you can tell the story with video. Include all sorts of spot news. Write a letter to the ND and introduce yourself. Tell them that you are available and give them your home phone, cell and pager numbers. Call the assignment desks for all the bay area stations and even sacramento. Ask them what they are paying stringers. also ask for the direct phone number to the desk. If you need to call in the middle of the night, you will need to have that number. I got out of public safety when I got married because I wanted to *stay* married–but my blood still runs hot and I get “go fever” every time I hear a siren. I’m just trying to think of ways that I can still be close to the action, and mix it with my other love – DV.